AQUARIUS (Jan. 20 – Feb. 18): Your little obsessions have gotten out of hand lately. You flew past quirky and landed at borderline crazy. Ease up a tad. PISCES (Feb. 19 – March 20): Using the thesaurus on every word in your essay seems like a good idea at the time, but ultimately you just look dumb. Or rather ewe materialize imprudently. ARIES (March 21 – April 19): If your significant other is a psycho, now might be the time to consider breaking up with them. Just a tip: If you feed them first, you can outrun them at the end of the meal. TAURUS (April 20 – May 20): The decisions you make this weekend will directly affect your entire life. Here’s a nice rhyme the cosmos thought up for you: If you go out, you might end up in jail. If you don’t study for your test, you’ll surely fail. GEMINI (May 21 – June 20): Giving up sweets lasted maybe 2.5 minutes. It was a fun time while it lasted … NOT. It was horrible. Don’t do it again. CANCER (June 21 – July 22): If your loved one invites you out to dinner this weekend, consider eating something light. Who knows, they might want to go for a run afterward. LEO (July 23 – Aug. 22): You know that saying, “If Britney can make it through 2007, you can get through today?” Well, you’re not Britney, b*tch. Just stay in bed, it really isn’t worth it. 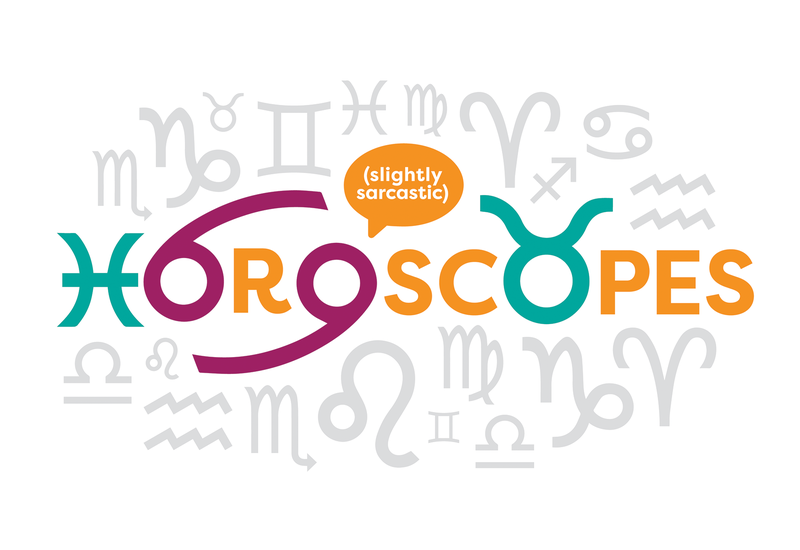 VIRGO (Aug. 23 – Sept. 22): Channeling ghosts and demons hasn’t worked yet. Maybe for your next seance you can invite an Aquarius. Their sanity has already flown the coop; maybe it’ll work better with company. LIBRA (Sept. 23 – Oct. 22): Recently you decided that the stars have no idea what they’re talking about — I don’t see good things for you this weekend. SCORPIO (Oct. 23 – Nov. 21): All the world’s a stage and you’re just the entertainment everyone needs. Except it’s really the Kite’s dance floor. Don’t check your Snapchat for a few days. SAGITTARIUS (Nov. 22 – Dec. 21): It drives your friends insane when you don’t answer the phone. They don’t care if you’re pooping, they just want to tell you about the crazy thing that happened to them! 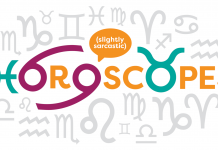 CAPRICORN (Dec. 22 – Jan. 19): Be less selfish. Obviously your semi-significant other wants you to spend all your time with them. They like you. So abandon all your friends and hobbies and job and schoolwork and spend your time doting on the precious little sociopath that you call your one and only.